Product Details - Flavor -Milk, Quantity -30 pieces. Suitable for all dogs of all breeds from 4 months onwards. Product Information - Rena Milky Chew Stick Style are a perfect treat for your pooches. They satisfy the natural urge to chew whilst reducing tartar and promoting healthy teeth and gums. They are the perfect treat at the time of teething and also provide high protein to your dog. 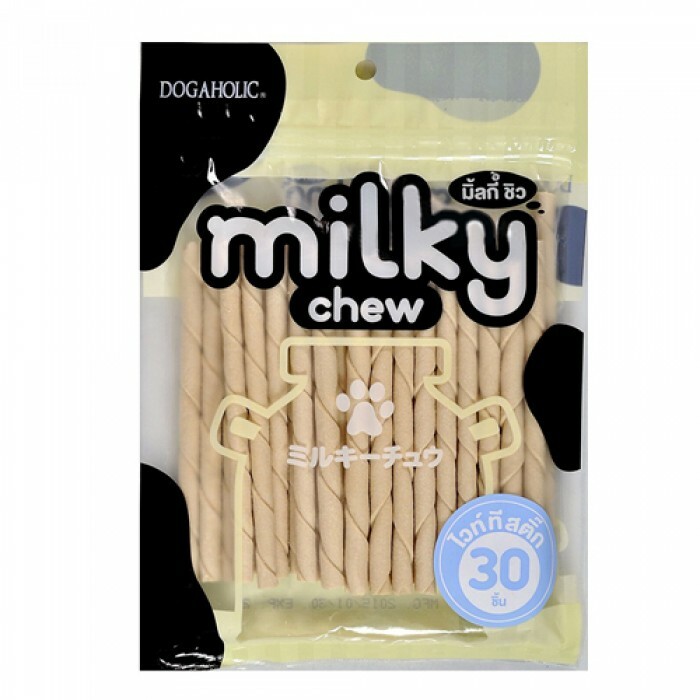 Milky Chew Bone Style dog Treats are made from high quality products and are ideal for all breeds of dogs. Perfect to over come teething problems. Protects the teeth from dental problems.